COOP Ale Works has come a long way since 2009. From a small brewery with a handful of beers in a single bar, to the top selling craft brewery in Oklahoma with distribution across 5 other states. But for COOP, at the end of the day, it's still all about the beer. 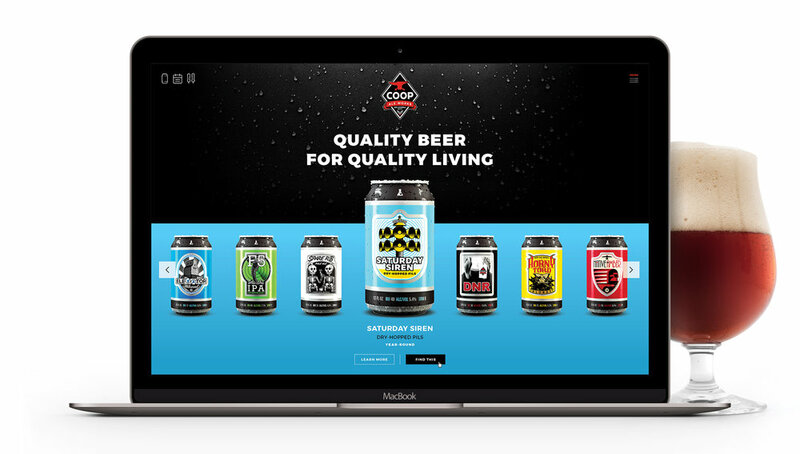 With that in mind we helped craft a website that keeps the beer front and center. We made it easy to learn more about a specific style, find the beer you love wherever it's available, and even see what specials the brewery has on its own taps, with a single click.